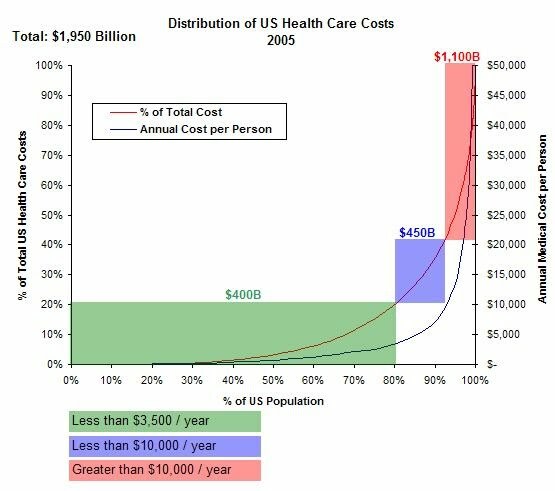 1) Reduce costs on the 80% of the population that consumes 20% of the health care costs (in the green). 3) Increase the percentage of people in the red, by moving green and blue people who choose to forego their blood pressure medicine to save a few bucks and end up in the ER with a heart attack. Usually when we reduce costs for clients we focus on reducing the biggest ones not the smallest; it tends to produce results.